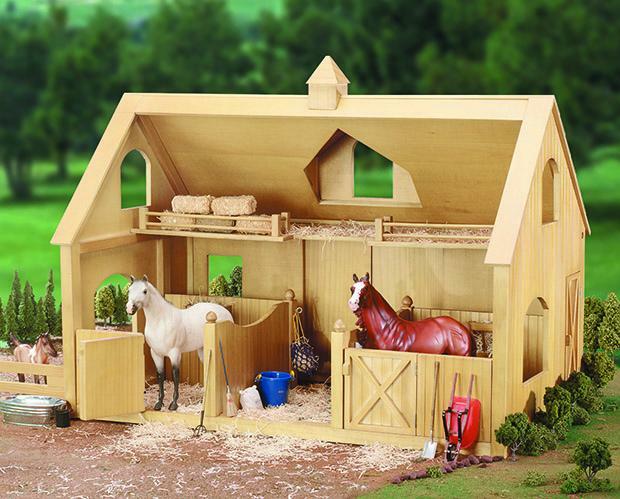 I am so excited for Breyer’s 2019 releases. The lineup this year is excellent! But what makes me happiest are these! I have been sitting on my hands about this all year long. I’m SO happy I can finally share with you all! 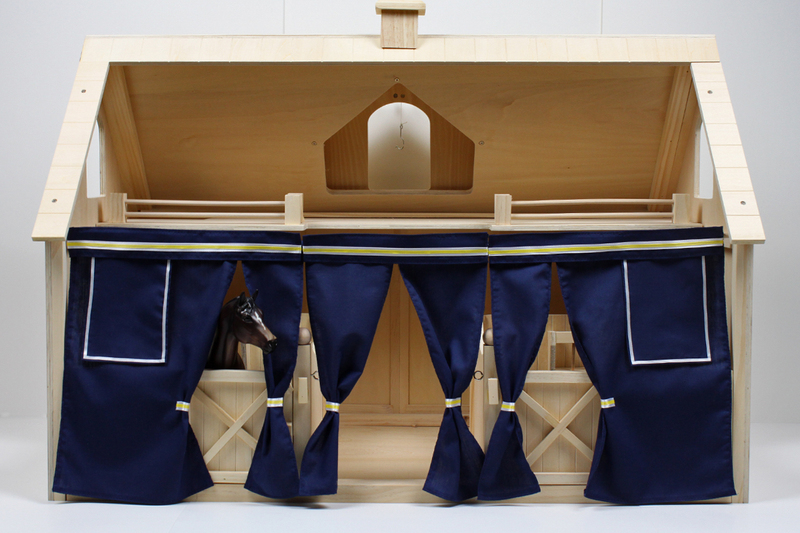 Stall Drapes are often used at horse shows to promote a stable/farm’s name, as well as provide privacy. Some set ups are simple, others, extra elaborate! This was actually the most challenging part of the project. (sewing everything? Piece of cake 🍰) My original plan was to have the drapes set up as a stand-alone piece, but that quickly proved to be too complex, too big, and likely too expensive to manufacture. The solution actually came from the way both barns are assembled. There’s a small lip or ledge right above the stalls, which is just big enough for a dowel to rest. 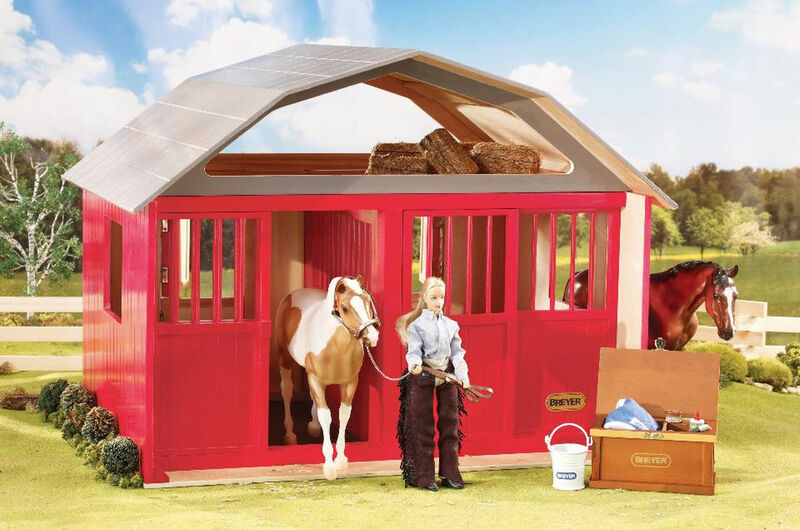 The dowel breaks down into three parts to save space, as well as convert it to fit the smaller barn. 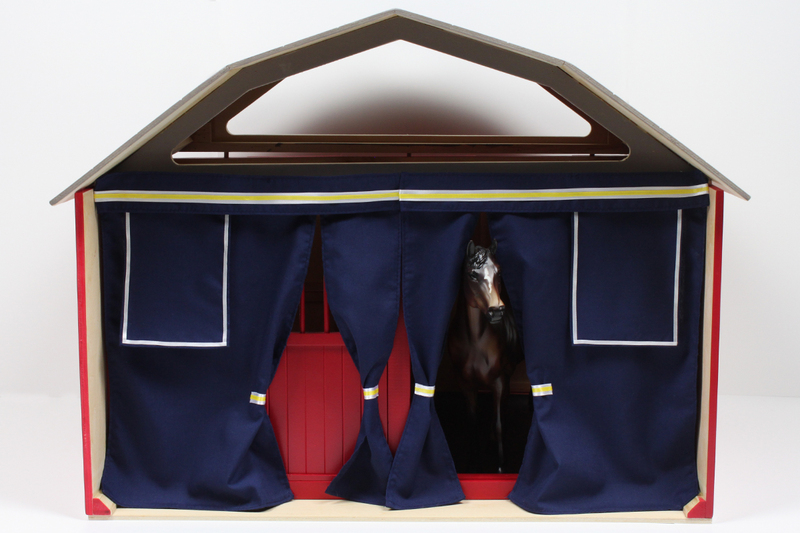 The drapes were also designed to be opened or closed, because plastic ponies need their privacy, right? 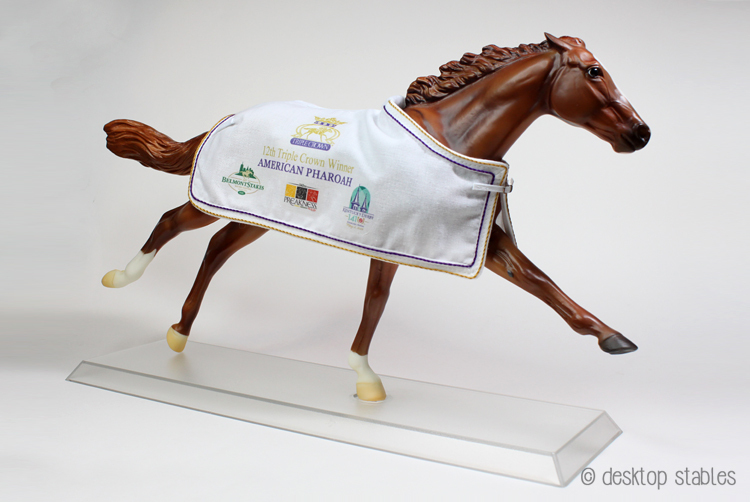 In-between this, Breyer approached me to create the prototype for his garland, which I happily agreed to! They wanted a garland that had rows of flowers from all three races. 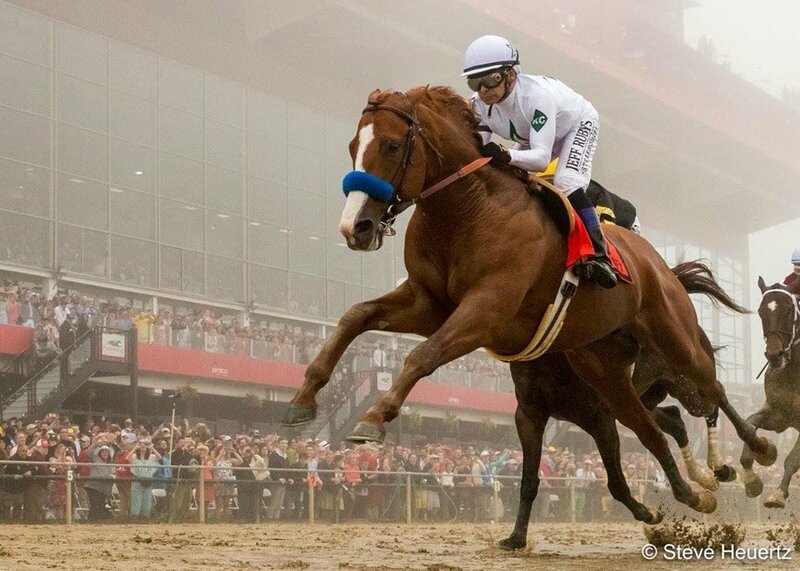 In order to win the Triple Crown, a horse has to win the Kentucky Derby, Preakness Stakes, and Belmont Stakes. 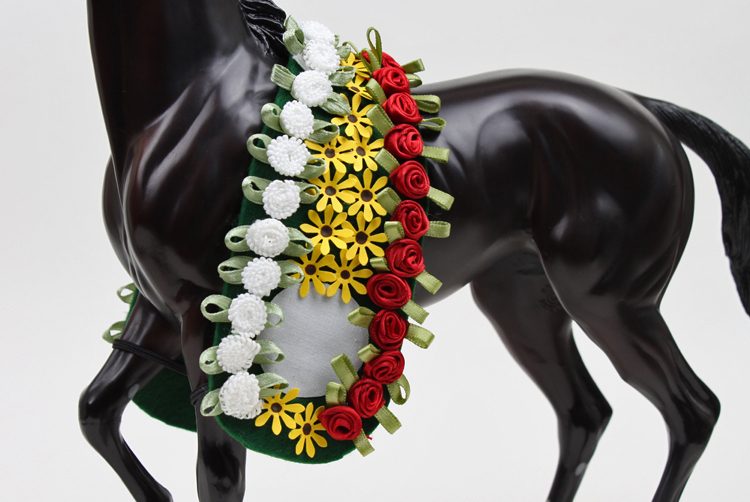 The winner of each is draped with a garland of flowers: roses for the Derby, black eyed susans for the Preakness, and carnations for the Belmont. 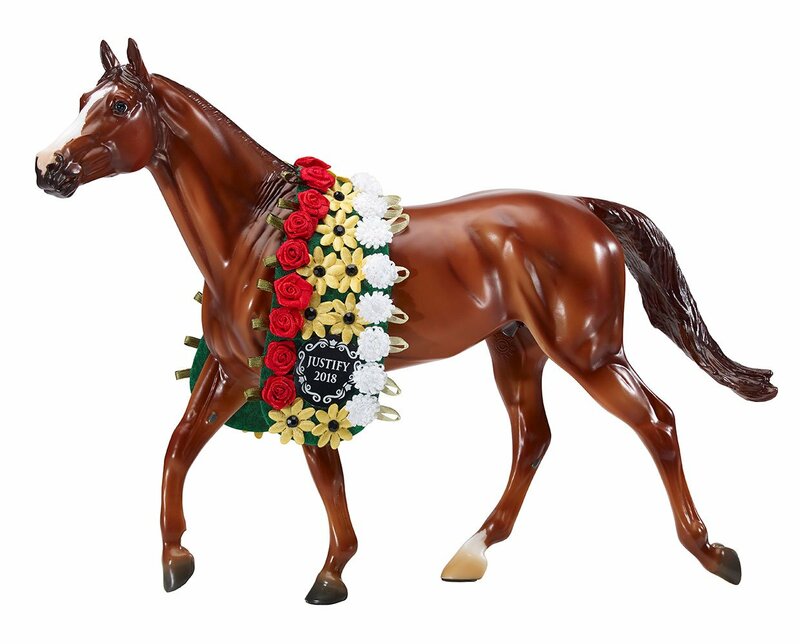 So Justify’s garland has all three to represent each race. November’s flown by, and good riddance, I think. It’s been a bad month BUT, thankfully, has had some bright spots. 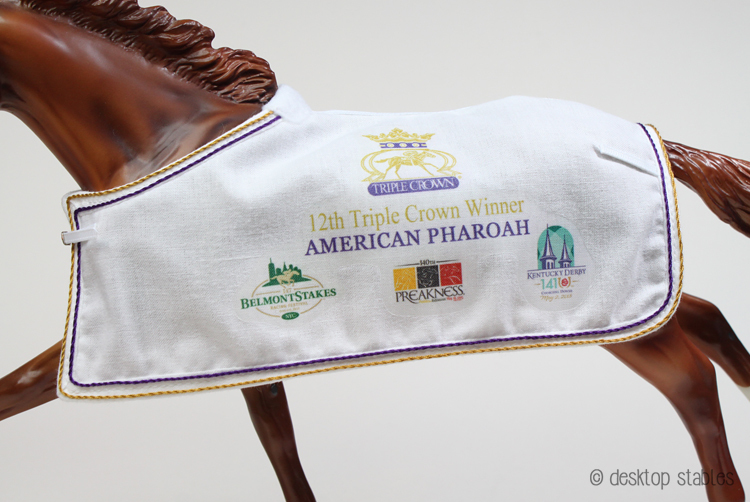 Several weeks back I was contacted by Zayat Stables to make a second Triple Crown blanket for their display model of American Pharoah. I still get all excited just thinking about it! 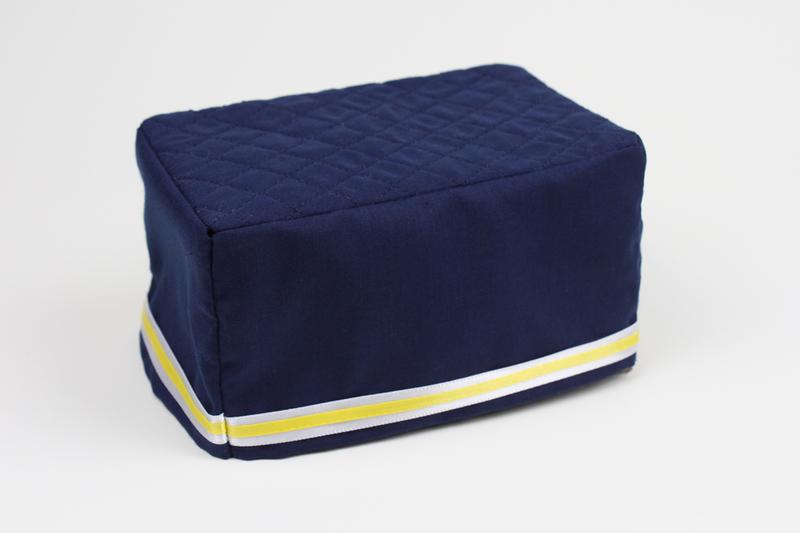 It’s nearly identical to the first version, but with slightly different colors and a better fit to the Ruffian mold. 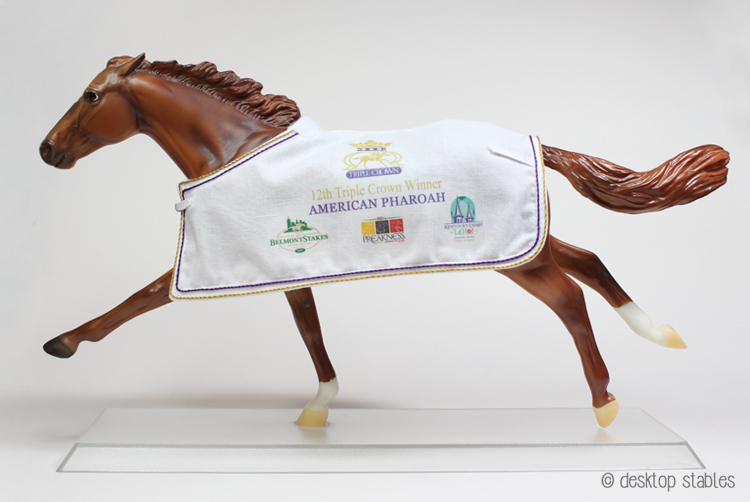 A picture of it was shared on American Pharoah’s Facebook page, which still makes me all giddy and happy, haha. 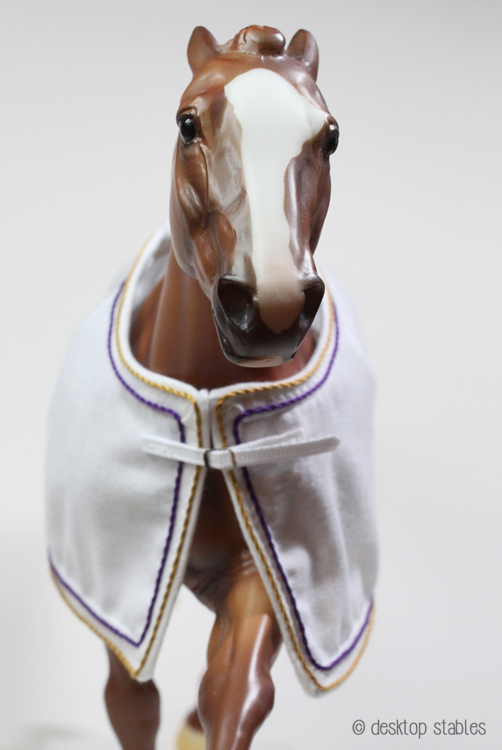 I didn’t realize that their model was the Classic sized horse so the blanket is a bit too big, but they still made it work and were pleased with it so that’s good!